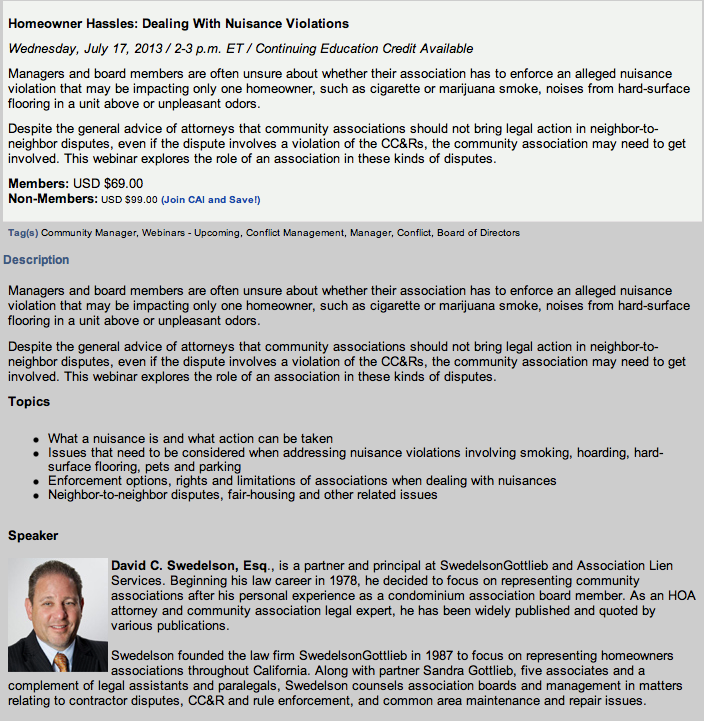 SwedelsonGottlieb Senior Partner David Swedelson has been asked by Community Association Institute (CAI) – National to speak on Homeowner Hassles: Dealing With Nuisance Violations. This will be a part of CAI National’s series of webinars and will be broadcasted on July 17, 2013 (and available as a download later). For more information on this program, follow this link.